Another year has rolled around and today we has the annual Hirafu Matsuri (festival). The Matsuri is based around the Bon-Odori but unfortunately there has been bad weather over the few years which has make dancing problematic in the mud… and it looks like this year the dancing may again be on hold until next year due to heavy rainfall. Regardless the event will go on and there will be lots of stalls selling a huge variety food and drinks as well as a non stop array of entertainment and music. Proceedings kick off from 12pm at Sunsports and finishes at 9pm. From 8:30 ish there is a wild fireworks display in close proximity to the festival which are always cool to checkout. Good times in the heart of Hirafu! 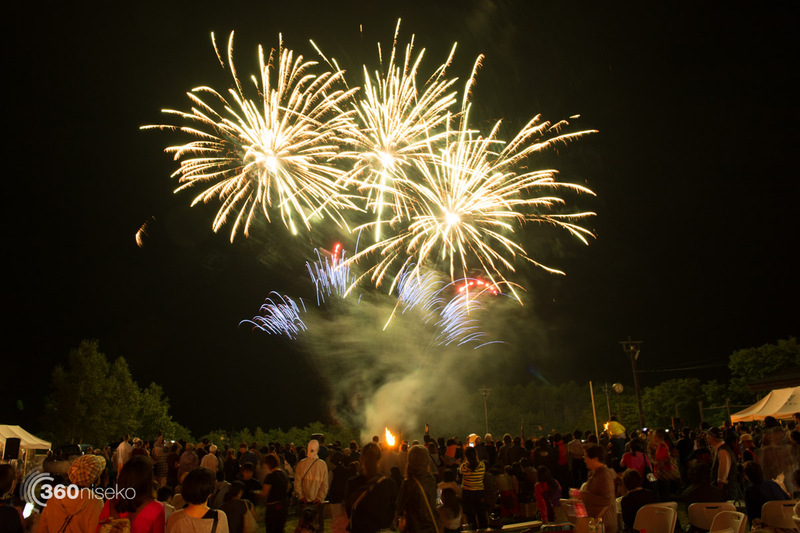 Hirafu Matsuri, 22 August 2015 from 360niseko on Vimeo.